Lovely restaurant with nice food and good atmosphere… That’s all what girls need for their girls get together. From my viewpoints, it looks like the golden age has come to girls (I mean female in any generation, of course :-)) party organisers as I often come across with restaurants offering nice deals for girls’ parties. Among all nice restaurants, I found a special French restaurant in Osaka catching attentions of Japanese girls. 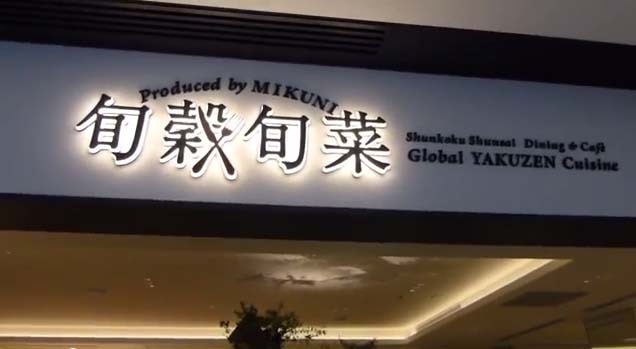 Shunkoku Shunsai (literary means seasonable grain and vegetable) opened in April this year offers French food supervised by an internationally recognised French food chef, Mr. Mikuni. But being able to enjoy famous chef’s food is not the only reason why girls are so keen on this restaurant. The food being offered in this restaurant is yakuzen or Chinese food therapy themed French food! Popular courses for girls parties are ‘weekend lunch platter’ with a full of seasonable vegs (2,625 yen or US$26.9), and weekday lunch (1,155yen or US$11.9) comes with a salad, soup bread, main and dessert. Also, formal dinner course (4,200yen or US$43) is also popular as an anniversary food.